Nourishing 30 Seconds Curl Spray. 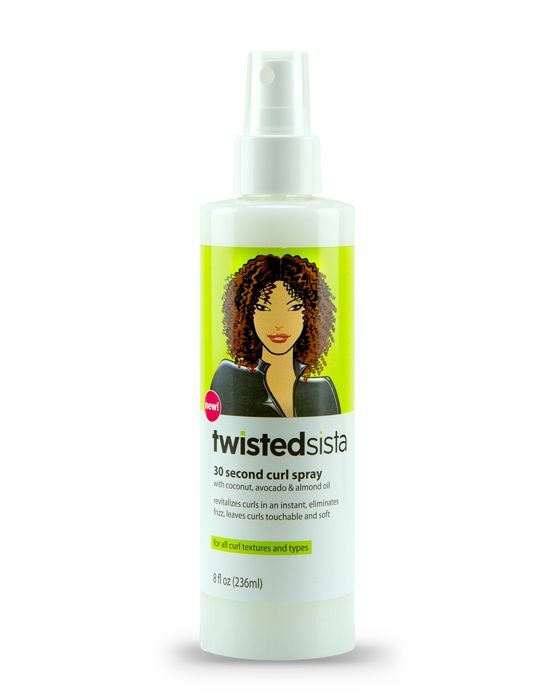 Twisted Sista, . This product line is developed with a combination of plant derivatives and fruits that are believed to contribute to healthy hair results. It features a product offering of seven solutions that cleanse, condiWith moisturising curl ingredients such as coconut, almond oil and avocado, this instant-effects spray adds hydration and shine while taming frizz.Contiontion, moisturise and style. With moisturising curl ingredients such as coconut, almond oil and avocado, this instant-effects spray adds hydration and shine while taming frizz.